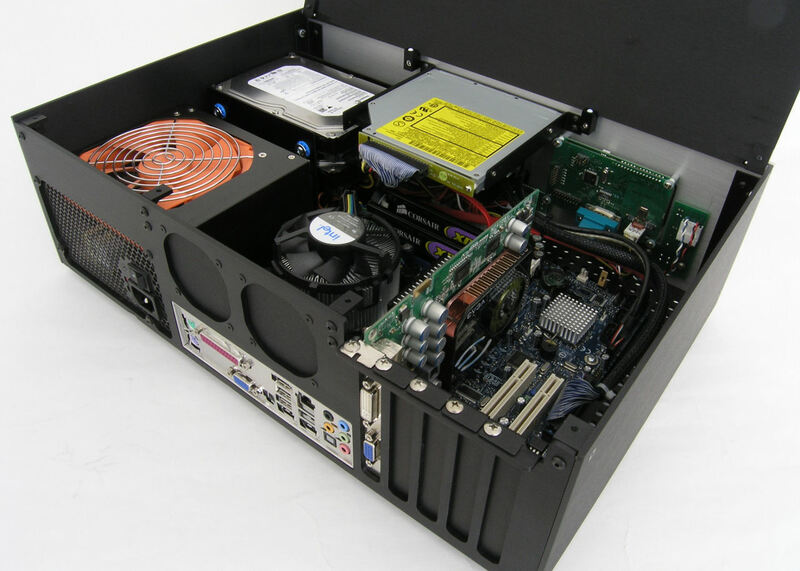 The Heatsink 3500 is our ultra-quiet air-cooled chassis which holds a micro-ATB motherboard, full ATX power supply. For silent operation, the power supply fan is the only fan used for cooling. 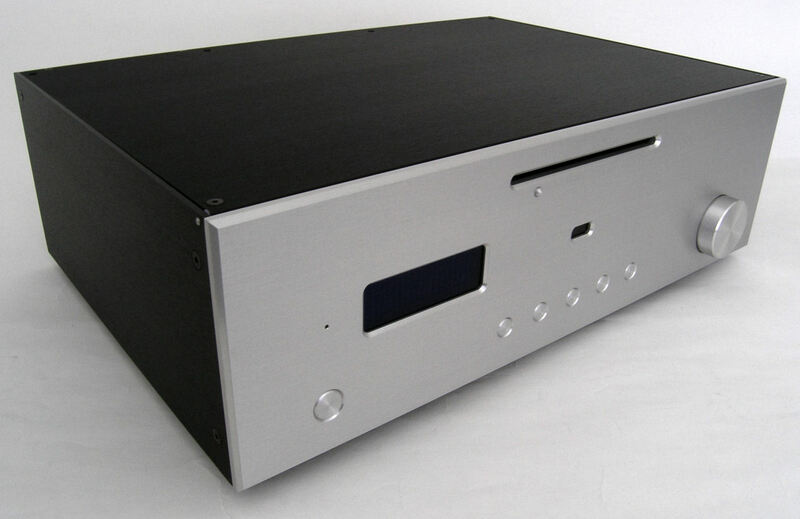 Chassis is constructed from thick aluminum plate and features a custom machined faceplate, rack mounting is optional. Our newest Heatsink 3500 Case packs all the features you need into a beautiful compact package! Designed from the ground up, the new 3500 case follows in the foot steps of our popular Heatsink 3000 case. As with all our hand-crafted cases, the fit and finish is second to none. Made 100% in the USA from the finest materials and manufacturing processes available. Every part on the case is precision machined from thick aluminum billet for extreme durability and outstanding looks. 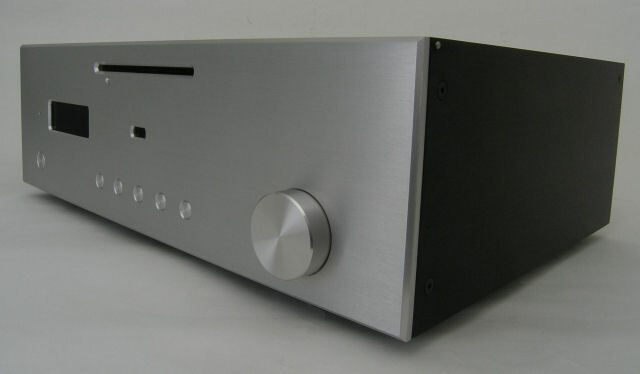 Unsurpassed attention to detail is seen all throughout the case. Each part is carefully designed for form and function, creating a beautiful entertainment PC enclosure that is at home even next to the finest audiophile components. Internally, the computer components are well laid out for equal heat distribution and easy servicing. The hinged top cover swings open for quick access. The Heatsink 3500 Case is designed to fit any standard ATX power supply, mATX motherboard, and PCIe video card. The airflow through the case has been carefully engineered to optimize equal cooling without the need for case fans. The only fan needed is the fan built into the power supply. Fan block-off plates are used when no case fans are installed. Case fans can be used with dual video cards or hot running gaming systems. For quiet and cool operation of the hard drives, the drives are mounted in a isolation drive module which is located over an area inside the case with plenty of cool incoming airflow. Each HDD floats on specially designed isolation pads which eliminate noise from vibration. 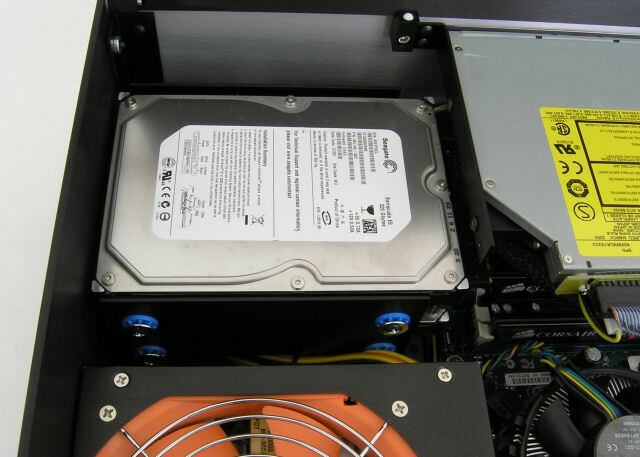 The drive module assembly can be removed easily from the case for servicing. Holds up to two 3.5" or four 2.5" drives (with our 2.5" HDD adapters). Copyright © 2001-2019 A-Tech Fabrication Company. All rights reserved.